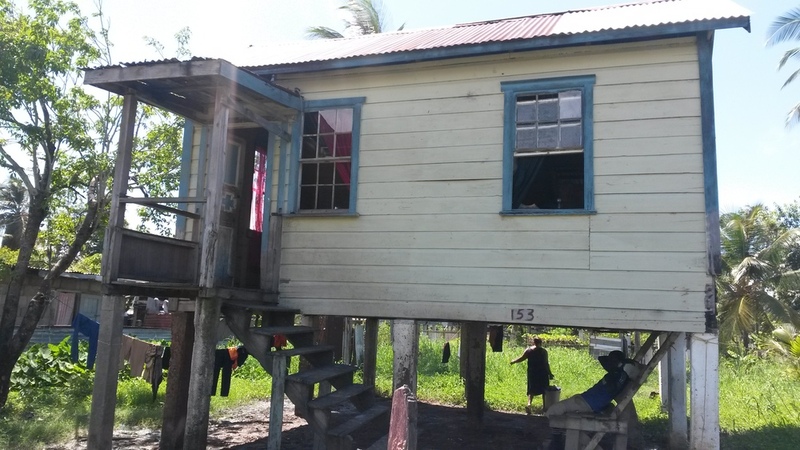 Guyana Foundation Begins Emergency Repair Works to Home in West Coast Demerara. Recently, the Guyana Foundation learned of a single Mom living on the West Coast of Guyana who was experiencing tremendous hardship with her kids. Although we do not normally assist individuals, members of her community where we have worked before, asked us on her behalf to see what we could do to help. In fact, when we went to do a distribution in the village, the mothers who attended singled out the children of this family and requested that we give them what we had brought first since they were in dire need. A very generous donor from the United States heard about this family, and is currently funding emergency repairs to the home to protect the family members from the elements. She has also pledged additional gifts of three mattresses, three bed sheet sets, a 4 burner gas stove, a gas cylinder, a pot and utensil set. In addition, the donor would like this mother and five other women in five other villages to be given sewing machines and supplies to sew and decorate tea towels with various Guyana village names on them. These items will be available for purchase through the GF office. All profit will be returned to the ladies to sustain the project. Below is a photo gallery of the work currently being conducted on the home. The house, with missing windows, and a damaged front stairway, before repairs began. Workmen purchasing stone, and other material to begin work. Materials arriving at the work site. Repairs being conducted to one of the walls of the house. 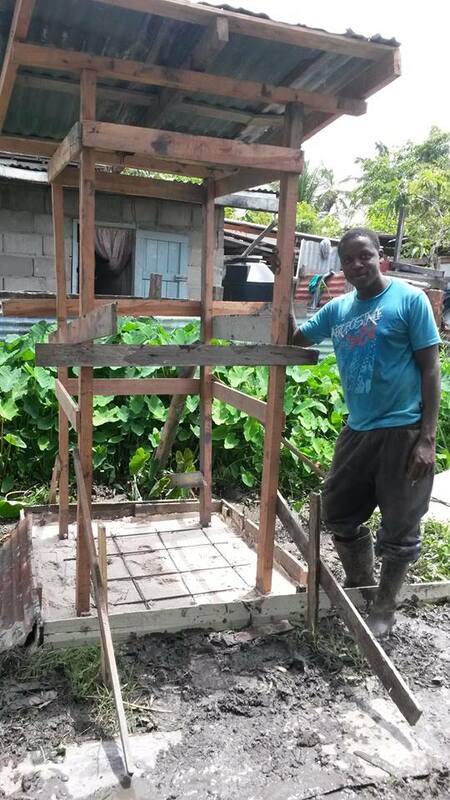 A workman next to the frame of a new bathroom being built. 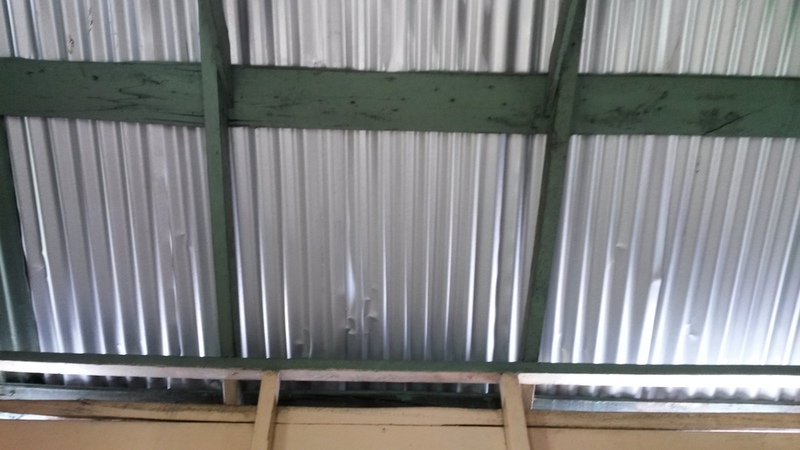 New zinc sheets on the roof of the house. One of the children walking up the newly built front stairway. Rails will be installed shortly. Improvements already visible - new front stairway, windows already installed. Work is continuing on the home.